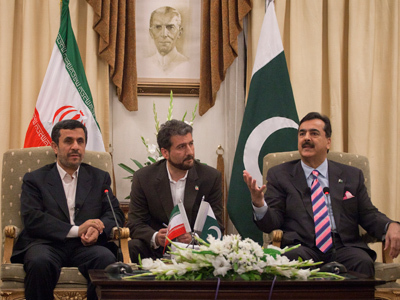 Pakistan has pledged to support Iran if the US launches a military attack against the Islamic Republic. The Pakistani president assured the Iranian leader that his country’s territory will not be used as a launch pad for such an assault. ­Should the United Stated decide to attack Iran, Pakistan will not support the move and will not allow the US to use its local airbases for military operations, the Pakistani leader Asif Ali Zardari said on Friday. 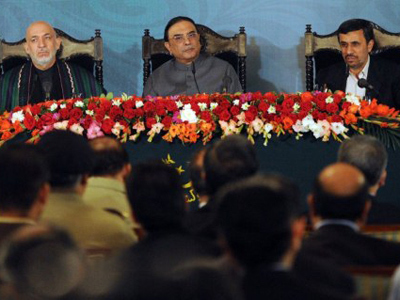 His assurances of support came during a meeting of the leaders of Pakistan, Iran, and Afghanistan in Islamabad. 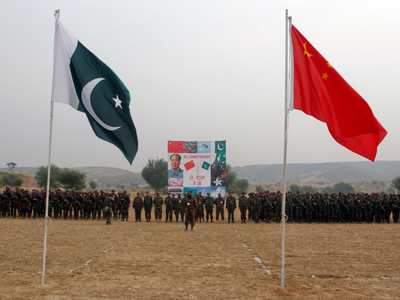 The talks are seen as Pakistan’s way of sending a message of defiance to the US. Meanwhile, Turkey has denied Israel the right to use intelligence from its NATO radar system. In the wake of a recent US-Israel joint missile test and the ongoing tensions between Ankara and Tel Aviv, Turkish FM Ahmet Davutoglu said on Friday that any intelligence gathered by the NATO facilities should not be shared with a third country, especially if the country is Israel. Relations between Pakistan and the US are at an all-time low, after a November US air strike on a Pakistani border post killed 24 troops who were mistaken for Taliban militants. It took the Pentagon a month to reluctantly admit their part of the blame for the deadly mistake and offer apologies. ­But even without military facilities on Pakistani soil, Washington and its allies already have more than enough military force accumulated in the region to unleash full-scale war on Iran. 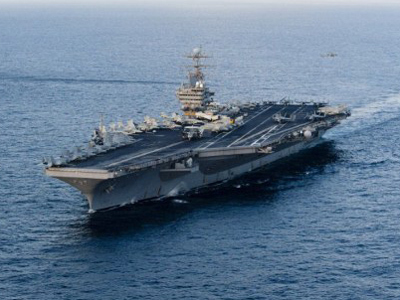 The American aircraft carrier USS Abraham Lincoln passed through the Strait of Hormuz on Tuesday, joining another US battle group already positioned in the region headed by the aircraft carrier USS Carl Vinson. 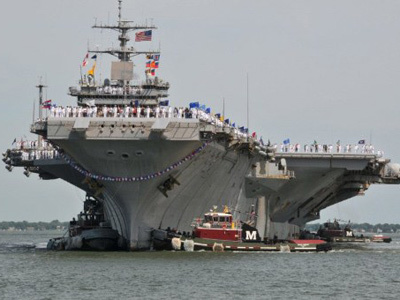 Yet another aircraft carrier, the USS Enterprise, is expected to join the strike force in March. The buildup of the US and its allies’ military presence has “turned the Gulf into a weapons depot,” Iran's Defense Minister Ahmad Vahidi said on Tuesday. The West considers Iran’s controversial nuclear program – which Washington and others claim without evidence to be at least partly military – to be a threat to be dealt with by any means necessary. But so far neither extensive economic sanctions against the Islamic Republic nor the assassinations of top Iranian nuclear scientists has stopped Iran from working on developing nuclear power, which Tehran maintains is solely civilian. 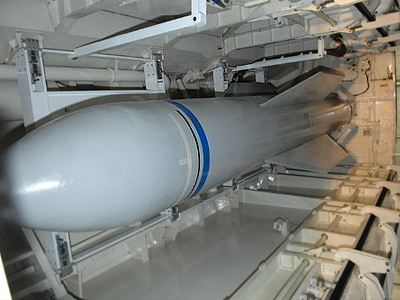 A military operation against Iran is considered by many to be the most likely outcome of Iran’s refusal to stop its nuclear research. UN Secretary-General Ban Ki-moon, however, has rejected the possibility of a military strike on Iranian nuclear sites as an alternative to diplomacy. “There is no alternative to a peaceful resolution on this issue,” Ban said Friday. 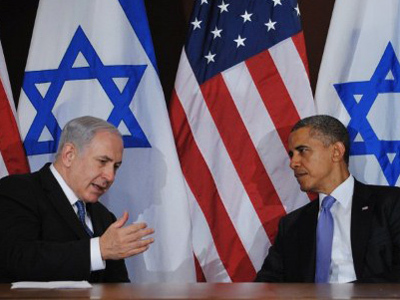 “Whoever says 'later,' might find that it will be too late,” Barak said. 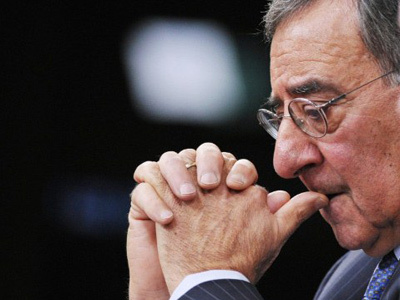 Earlier in February, US Defense Secretary Leon Panetta noted the “strong possibility” of an Israeli strike on Iran in either April, May or June, before Iran enters a so-called "immunity zone," when its nuclear facilities will be too heavily fortified for an attack to succeed, the Washington Post reported. 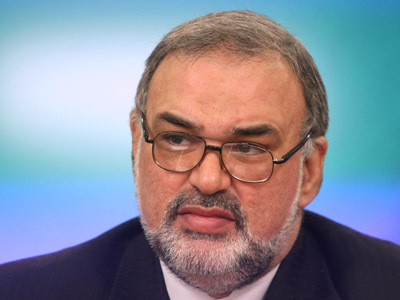 The attack on Iran, however, would be like committing a suicide, said Iranian Ambassador to Russia Seyed Mahmoud-Reza Sajjadi last week. 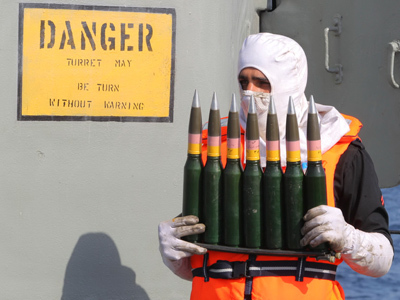 Despite such self-confidence, it is highly unlikely that Iran will initiate an attack unless provoked by the US or Israel, says US Defense Intelligence Agency Director Ronald Burgess. "Iran can close the Strait of Hormuz at least temporarily, and may launch missiles against United States forces and our allies in the region if it is attacked," Burgess said. Tehran has repeatedly threatened to block the Strait of Hormuz, which connects Gulf oil exporters with the Arabian Sea, if any sort of a military attack is carried out against the republic.